3M™ PROTECTA® Rebel™ Self Retracting Lifeline - Cable, 33 ft.
Home > Fall Protection & Safety > Self Retracting Lifelines > 3M™ PROTECTA® Rebel™ Self Retracting Lifeline - Cable, 33 ft.
Rebel™ self retracting lifelines (SRL) with super-tough yet lightweight composite housings are built to last providing an economical fall protection solution without compromising performance or safety. 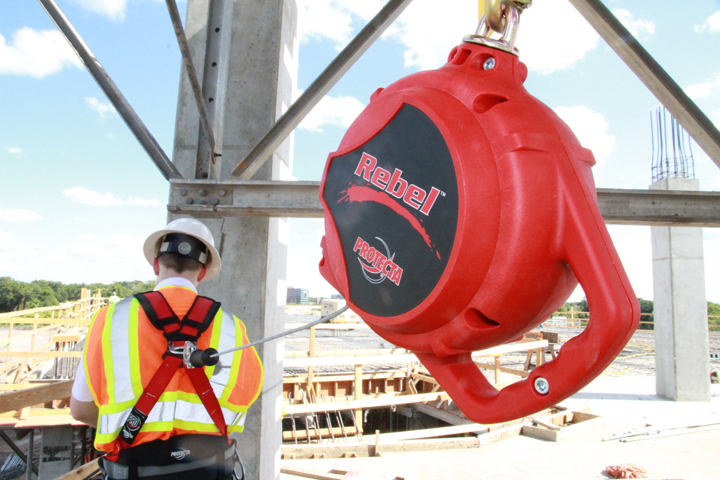 These Rebel™ SRL’s feature a 310 pound (141 kg) user capacity, and a robust design to ensure longevity. 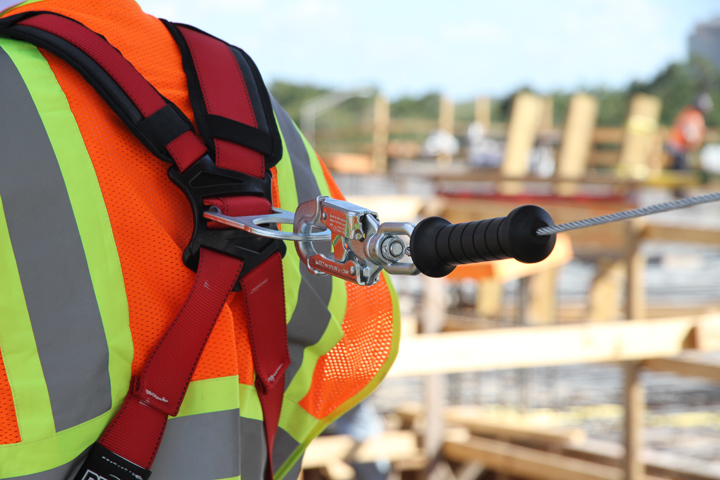 Rebel™ is designed with the worker in mind, featuring a stackable space-maximizing design, high strength web lifeline and a built-in swiveling anchorage point. 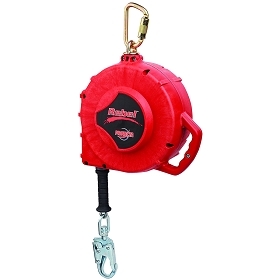 An SRL’s lifeline will extend as the user moves away, and retract automatically enabling the user to move about within a recommended working area at normal speeds. 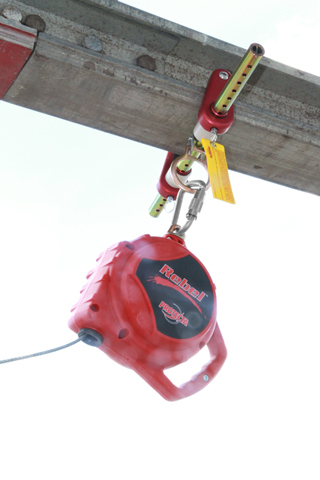 Should a fall occur, a speed sensing brake system will activate stopping the fall and reducing the forces imposed on the user to safe levels. 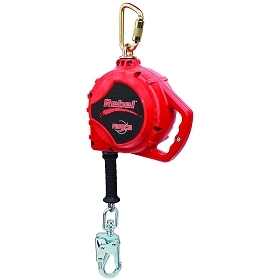 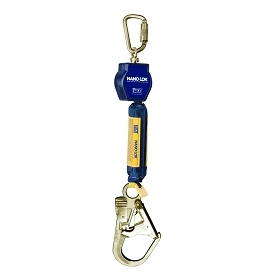 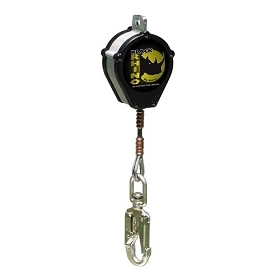 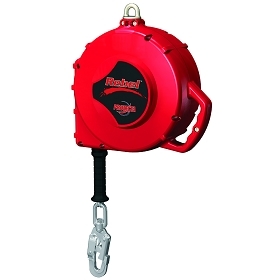 3M™ PROTECTA® Rebel™ Self Retracting Lifeline - Web, 11 ft.
3M™ PROTECTA® Rebel™ Self Retracting Lifeline, Cable, 66 ft.
3M™ PROTECTA® Rebel™ Self Retracting Lifeline, Cable, 100 ft.
3M™ PROTECTA® Rebel™ Self Retracting Lifeline - Cable, 6 ft.
3M™ PROTECTA® Rebel™ Self Retracting Lifeline - Web, 20 ft.
3M™ PROTECTA® Rebel™ Self Retracting Lifeline - Cable, 15 ft.
3M™ DBI-SALA® Nano-Lok™ Self Retracting Lifeline with Anchor Hook, Web, 6 ft.
3M™ DBI-SALA® Nano-Lok™ Twin-Leg Quick Connect Self Retracting Lifeline, Web, 6 ft.
3M™ PROTECTA® Rebel™ Self Retracting Lifeline - Cable, 20 ft.